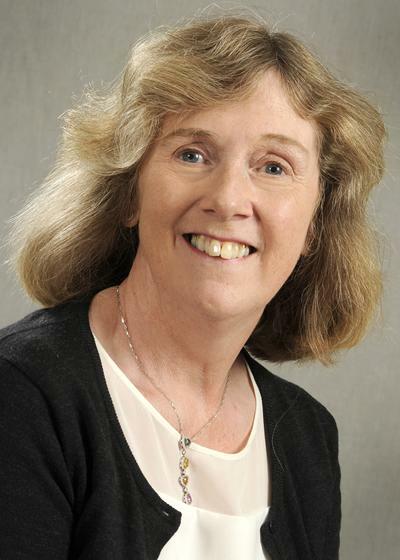 Karen Morrison is Associate Dean for Education, and Director of Education, Professor of Neurology in the Faculty of Medicine. She is also an Honorary Consultant Neurologist at University Hospital Southampton. Molecular and genetic studies in neurodegeneration – particular focus on motor neurone disease MND/amyotrophic lateral sclerosis and Parkinson’s disease. Investigation of both sporadic and familial disease, genome wide association studies, whole genome sequencing studies, investigation of glutamate excitotoxicity. Establishing large DNA banks from people with various neurodegenerative disorders, linked to clinical and epidemiological data, including the UK MND Biobank (funded by the MND Association UK) and Parkinson’s Disease DNA Bank ‘PDGEN’ (funded via MRC and Parkinson’s UK). Samples from these banks are widely used in large collaborative research studies, nationally and internationally. Work to date has included several genome wide association studies including studies of copy number variation and homozygosity mapping. Clinical research in motor neurone disease, with interests in therapeutic clinical trials, standards of care and end-of-life decision making. Meininger, V., Genge, A., van den Berg, L., & Morrison, K. (Accepted/In press). Safety and efficacy of ozanezumab in patients with amyotrophic lateral sclerosis: a randomised placebo-controlled phase 2 trial. The Lancet Neurology, 1-24. Beghi, E., & Morrison, K. E. (2005). ALS and military service. Neurology, 64, 6-7. Morrison, K. E. (2005). Managing motor neurone disease. The Practitioner, 249(1647), 612-617. Morrison, K. E. (2004). Diagnosis and management of motor neurone disease. Horizons in Medicine, 16. Morrison, K. E. (2002). How to understand it – Polymerase chain reaction. Practical Neurology, 2, 288-293. Morrison, K. E. (2002). Molecular characterisation of motor neuron disorders. Advances in Clinical Neuroscience and Rehabilitation, 2, 10-12. Daniels, R. J., Campbell, L., Rodrigues, N. R., Francis, M. J., Morrison, K. E., McLean, M., ... Davies, K. E. (1995). Genomic rearrangements in childhood spinal muscular atrophy: linkage disequilibrium with a null allele. Journal of Medical Genetics, 32(2), 93-96. Theodosiou, A. M., Morrison, K. E., Nesbit, A. M., Daniels, R. J., Campbell, L., Francis, M. J., ... Davies, K. E. (1994). Complex repetitive arrangements of gene sequence in the candidate region of the spinal muscular atrophy gene in 5q13. The American Journal of Human Genetics, 55(6), 1209-1217. Morrison, K. E., Daniels, R. J., Suthers, G. K., Flynn, G. A., Francis, M. J., Buckle, V. J., & Davies, K. E. (1992). High-resolution genetic map around the spinal muscular atrophy (SMA) locus on chromosome 5. The American Journal of Human Genetics, 50(3), 520-527. Daniels, R. J., Suthers, G. K., Morrison, K. E., Thomas, N. H., Francis, M. J., Mathew, C. G., ... Dubowitz, V. (1992). Prenatal prediction of spinal muscular atrophy. Journal of Medical Genetics, 29(3), 165-170. Kalluri, R., Gunwar, S., Reeders, S. T., Morrison, K. E., Mariyama, M., Ebner, K. E., ... Hudson, B. G. (1991). Goodpasture syndrome. Localization of the epitope for the autoantibodies to the carboxyl-terminal region of the alpha 3(IV) chain of basement membrane collagen. The Journal of Biological Chemistry, 266(35), 24018-24024. Morrison, K. E., Mariyama, M., Yang-Feng, T. L., & Reeders, S. T. (1991). Sequence and localization of a partial cDNA encoding the human alpha 3 chain of type IV collagen. The American Journal of Human Genetics, 49(3), 545-554. Morrison, K. E., Germino, G. G., & Reeders, S. T. (1991). Use of the polymerase chain reaction to clone and sequence a cDNA encoding the bovine alpha 3 chain of type IV collagen. The Journal of Biological Chemistry, 266(1), 34-39. Morrison, K. E. (1987). Brain transplantation--still fantasy? Discussion paper. Journal of the Royal Society of Medicine, 80(7), 441-444. Anderson, P. M., Abrahams, S., Borasio, G. D., de Carvalho, M., Chio, A., Van Damme, P., ... Weber, M. (2011). Management of Amyotrophic Lateral Sclerosis. In N. E. Gilhus, M. Brainin, & M. P. Barnes (Eds. ), European Handbook of Neurological Management Volume 1 (pp. 283-310). Chichester, GB: Wiley-Blackwell. Morrison, K. E. (2009). Brain and nervous system. In S. Jarvis (Ed. ), Women's Health for Life London, GB: Dorling Kindersley. Morrison, K. E., & Harding, A. E. (1994). Disorders of the motor neuron. In A. E. Harding (Ed. ), Genetics in Neurology (Bailliere's Clinical Neurology). London, GB: Bailliere Tindall. Davies, K. E., Daniels, R. J., Morrison, K. E., Francis, M. J., & Suthers, G. K. (1992). Molecular studies of spinal muscular atrophy. In Molecular Genetics and Neurology (pp. 83-85). London, GB: Smith-Gordon & Co Ltd.